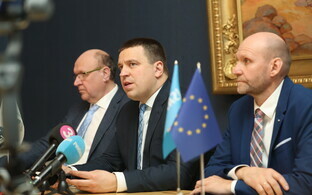 Commenting on Monday's coalition agreement signing, leaders of the three parties involved, Centre, the Conservative People's Party of Estonia (EKRE) and Isamaa, said that the lineup was designed for the duration of the current parliamentary session. "Over the past three to four weeks, we have reached an agreement on fairly difficult matters, and have always managed to find a compromise. This coalition has been formed to last for four years and that is also certainly the Centre Party's intent," Centre leader and the proposed coalition's prime ministerial candidate, Jüri Ratas, said, according to BNS. 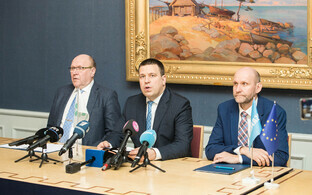 Mr Ratas added that the three parties clearly acknowledge Estonia's options in terms of financial policy. "We have been asked many times about an Excel table. The answer is very simple-there isn't one," Mr Ratas said, adding that the agreement does not take into account any large opera houses and the like, since the sources for covering expenditure will be determined in the course of budget strategy debates. EKRE chair Mart Helme, said that the word "cohesion" is mentioned in the agreement on several occasions. "We can see that the Estonia is clearly off balance, in favour of Tallinn," he said, according to BNS, adding that the issue of cohesion must be resolved. "This is not merely about profitability, it is about people's quality of life and balanced regional development. The state must find instruments to uphold employment and quality of life," Mr Helme said. Mr Helme also highlighted the topic of stimulating popular initiatives, a central EKRE policy, which ended up in the agreement, adding that EKRE realises that properly setting this in motion will take more than four years. However, this popular initiatives approach regards a qualitative change in Estonia's politics, which has now been initiated, Helme said. Popular initiatives, which could bring legislation to the table, or revoke existing legislation, would be launched once 25,000 signatures were accrued, according to the manifesto, with proposed referendums requiring double the number of signatures at 50,000. In order for draft legislation to pass, it would need a margin of at least 5% in the popular initiative, and amending the constitution would require a 25% margin in favour. Referendums would need a minimal 50% turnout for their proposal to be adopted, and the same issue could not be put to another referendum for a minimum of three years if it did not pass, according to the agreement. Isamaa leader Helir-Valdor Seeder highlighted the importance of the government's flexibility and willingness to cooperate in situations society may face, BNS reports. He pointed out as an example the issue of refugees, which was not reflected in the coalition agreement of 2015, but has nevertheless since become highly topical. Isamaa opposes Estonia's accession to the UN Global Compact on Migration, an issue which split the last government in November 2018 as President Kersti Kaljulaid prepared to travel to Morocco to give assent to the compact. Ms Kaljulaid did not attend the Morocco meeting following the split (Isamaa was a part of the last administration), but accession to the compact was passed by the Riigikogu in late November. "For me, the negotiations served as proof that the parties were not bogged down in the written word," Mr Seeder said, adding that if the text was at times general, this was only to avoid constraints. "We must take a look at what is going on with the budget and build on the actual situation, not just some dreams," Mr Seeder said. The three party leaders signed off on the coalition agreement on Monday, having presented it to their parties at separate extended board meetings on Saturday, where the proposed ministerial candidates were also nominated. 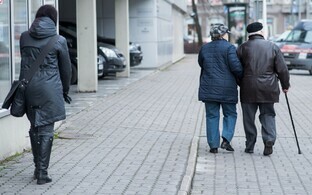 However, the three parties will have to wait until the Reform Party, together with the Social Democratic Party (SDE), have their coalition line up presented to the Riigikogu for voting. Reform leader Kaja Kallas was nominated prime ministerial candidate by President Kersti Kaljulaid on Friday, and she has promised to have her parallel coalition team ready on 15 April. Thus MPs are effectively voting on the Centre/EKRE/Isamaa alignment at the same time, since they know what they are likely to get if the Reform/SDE lineup does not pass. Since the latter only has 44 seats in total, it will need at least seven disaffected Centre and Isamaa Mps to vote in support of it, and against their own parties, assuming all the Reform and SDE MPs vote in favour. One MP, Raimond Kaljulaid, quit Centre on Friday on the issue of the talks with EKRE and is sitting as an independent, so it seems likely that Reform/SDE has at least one ''extra'' vote. 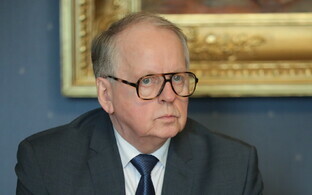 Former Centre leader Edgar Savisaar noted at the end of last week that with half a dozen ''Russian'' Centre MPs in the Riigikogu, these could swing the vote also.